My son Talon is 16 years old. Talon has always been a helper. Even when he was little, he would wait for the mail man, to give him a bottle of water in the Summer months. 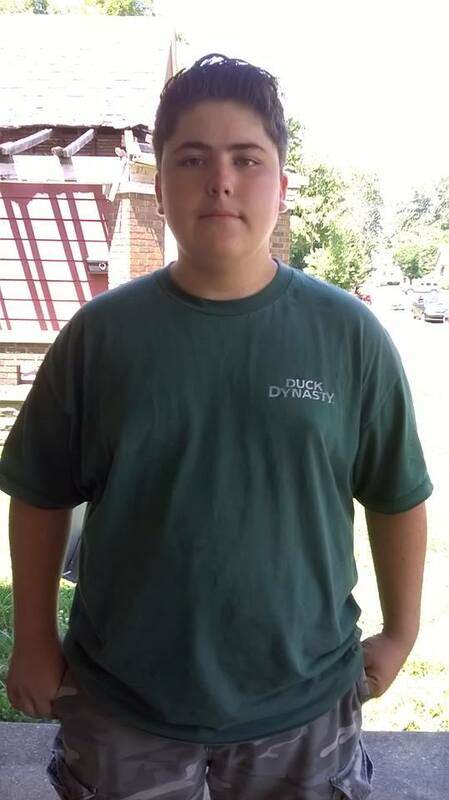 As he has gotten older and bigger, he has shoveled snow, cut grass, and helped many people in many different ways. When we have had homeless guests, he has gone above and beyond to help them out and make them feel welcome. He has gone with his dad to deliver meals to the hungry. He cares about people and never thinks about how helping someone might inconvenience him. He gives of his time and resources without considering the sacrifice. Talon has always had a great work ethic and doesn’t mind working hard, if it means helping someone out. He is always the first one to offer help and puts his heart and soul into other people. In all honesty, he did not get this trait from me. I really hate admitting this, but I can be selfish when it comes to helping others, if I think I might be inconvenienced in any way. I really hate this about myself. It is something I am working on and watching Talon, as he gives of himself, encourages me to be better. It isn’t that I don’t like helping people, I do. I hate to see anyone in need. For me, it is about my daily to-do list and letting the stress of life get to me. I am challenging myself to let my anxiety over getting things done go, when I know that someone is in need of help and I have the ability to help them. There is always tomorrow. My to-do list can wait and serving others is what Jesus is all about. Letting someone else know that you love them enough to help them is what Jesus is all about. Loving others to Jesus is what life is all about and Talon has taught me a thing or two about that. My challenge to you: Let go of your to-do list and be willing to help someone this week, regardless of the inconvenience and sacrifice. Be willing to love someone to Jesus. Pope Francis has proclaimed the time between December 8, 2015 – November 20, 2016 as the Year Of Mercy. This should be a time for us to step outside of our comfort zones to minister to those in need. This should be a time for us to open our eyes to those who are living lives of quiet desperation in our own spheres of influence and do something to help alleviate their suffering. In Luke 13:10-13, Jesus was teaching in one of the synagogues, when He noticed a woman who had been crippled by a spirit for eighteen years. She could not straighten up at all. Jesus saw her. He noticed her need and did something to help her. He healed her. Jesus didn’t ignore her condition. He didn’t tell her to go away. He had mercy on her and healed her. I am blessed to work at the Mother house of the Sisters of Providence. Over the 175 years that the Sisters of Providence have been here, they have founded and been a part of many ministries of mercy. Collectively, they have taught me the meaning of mercy in their humble service to those in need in our community. “As Pope Francis has spoken so many times, at least the way I understand it, mercy is shown by reaching out to people where they are and not waiting for them to come to you. So in a way, it is to be alert to the needs of someone. The need to be loved, to be accepted, to be important. I think Pope Francis’ approach to a year of mercy has again called people to be more aware, more alert, to that.” Father Dan Hopcus. Jesus gives us the example of reaching out to those in need. He never sat in one place and waited for the suffering to come to Him. He went to those in need. His eyes were open to the suffering around Him and He acted to help those in need. We need to take a lesson from Jesus, Father Dan and the Sisters to go out and meet those who are hurting right where they are. We have numerous opportunities in our daily lives to minister to others and we don’t. We are either to busy, to tired, or have a million other excuses to keep us from showing mercy to someone else. I know life gets crazy. I’ve given those excuses myself. I’ve had a hard time making the sacrifice myself. But, if we are to be examples of Jesus to this world, we need to quit making excuses and start making sacrifices. We need to get off our rear ends and start loving people to Jesus. We need to start being examples of Jesus to the hurting of this world. A Challenge: I challenge you to keep your eyes and heart open as you go about your daily tasks. I want you to step out and meet the need of one person a day for the next week. 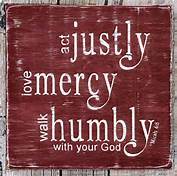 I challenge you to show mercy to those in your sphere of influence and love others to Jesus.